You always want your baby to be comfortable, even when they’re on the go, which is why it’s important to have a good mattress for your Graco Pack n Play. The Graco Pack n Play is a portable baby station that can be set up anywhere to take care of your child’s needs. The Pack n Play allows you to give your child a nap, change their diaper, or give them a place to play while you’re traveling or just out and about. In this article, we’ll review the best mattress for the Graco Pack N Play, as well as give you tips and tricks for selecting one. 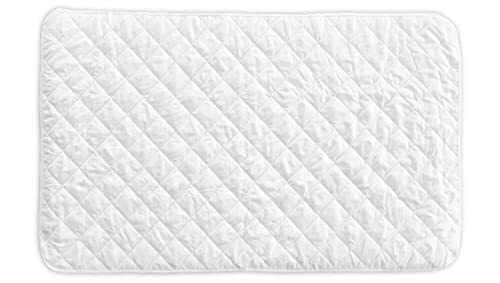 Best Mattress for Graco Pack N Play​1. Dream On Me 3” Playard Mattress​2. Sproutwise Kids Folding Pack N Play Mattress3. 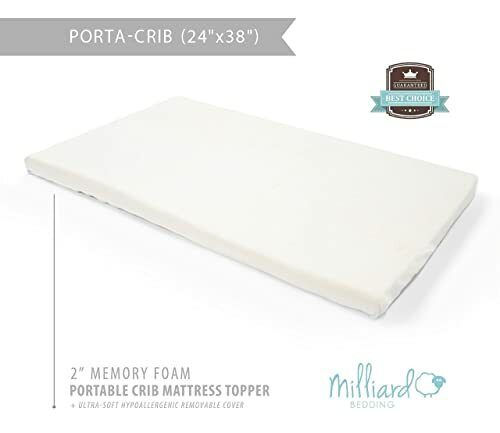 Milliard Portable Crib Mattress Topper4. Little One’s Pad Pack N Play Crib Mattress CoverWhy Invest in a Graco Pack N Play? This mattress really stands out from many of the other Pack N Play mattress options on the market. This is because of the thickness - it is double the size of many other mattresses that you would find for this purpose. The extra thickness means that the mattress is much more supportive and comfortable for the baby. It is made from 10 percent vinyl and 90 percent comfortable foam, which feels very gentle and supportive for the baby. The cover is completely waterproof and resists staining, which is something that is very important for any baby. Additionally, it is antibacterial, so it protects your baby’s health and wellness while preventing mold. This mattress fits very well in most Pack N Plays. The one downside is that depending on the model of Pack N Play you have, there may be some give on the sides. This unique mattress is great for Pack N Play because it folds up. This makes it very easy to take with you while you are traveling or going out and about through the city. It even comes with a travel bag to make things more convenient. It is made with all-natural latex foam, which is not only better for the environment than other types of foam, but also is very soft and stretchy for your baby. The cover is made from a soft organic cotton that feels nice on the skin. The cover is completely machine washable, and the mattress also has a waterproof liner that protects the foam from long-term damage. This mattress fits in most Pack N Plays, with a size of 38” long and 25” wide. It is two inches thick, which is a bit thinner than some other Pack N Play mattresses, but is still nice and supportive for the baby. It feels very soft and comfortable to the touch, and your baby will sleep easily on it as there’s tons of support for their little bodies. 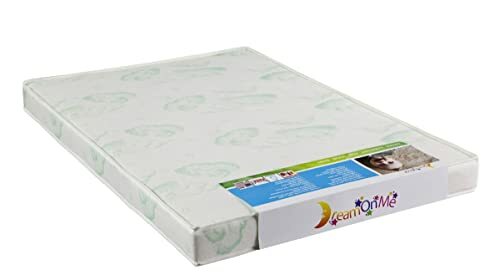 Although this product was originally designed as extra support for crib mattresses, it works very well in the Pack N Play because of the 24 by 38 dimensions. It is made with memory foam, which contours to the shape of your baby’s body, supporting their spine, neck, and head. It allows them to sleep more soundly at night and during naps, so you both can experience more peace and quiet. The memory foam is also ventilated, so it helps keep your baby cool and prevents dust and bacteria from gathering in the mattress. This mattress is two inches thick, so while it isn’t as supportive as other crib mattresses, it still is relatively effective. It comes with a zip-off cover that is completely waterproof to prevent staining and damage to the mattress. The cover is made from 65 percent cotton and is machine washable. It fits very snugly into most Pack N Plays, so you won’t have to worry about it moving around or any other safety issues while your baby is resting. This mattress cover is a great addition to any of the three mattresses already listed here if you feel you need just a little bit of extra support for your baby. It fits very well onto most crib mattresses, so there won’t be any extra fabric bunching up in the crib. It is made of thick, soft material that feels very comfortable to the touch and makes the mattress feel softer and more supportive. 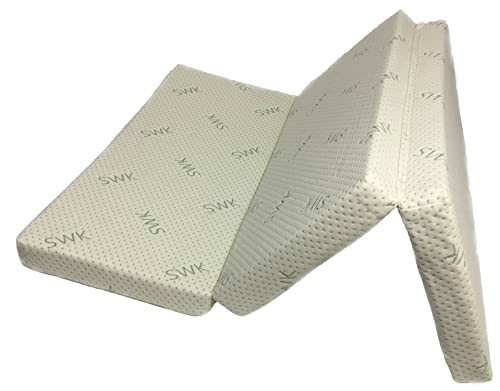 It also has a waterproof backing that is very absorbent, so it protects your mattress from damage as your little one grows up. Although it is machine washable for easy care, it does not shrink in the wash. It is completely hypoallergenic and is made with no chemicals or toxins, so it is very safe for your baby to use. Why Invest in a Graco Pack N Play? The Graco Pack N Play is a very convenient item for any parent with young children, ranging from newborn to age two. Graco Pack N Play comes in many different designs and configurations, so depending on what you need, you can select the one that’s best for you. Some have more space to use as a playpen, while others come with changing stations, bassinets, an infant bouncer, and more. On top of that, they’re typically cheaper than buying a full crib. One of the biggest reasons to invest in a Pack N Play is that it allows you to leave your baby for a few minutes knowing that they are still safe and nearby. For busy parents, this is a godsend, because you’ll be able to step away from your child and complete an urgent task if need be, knowing exactly where they are and what they are doing. Additionally, Pack N Plays are very light and portable, so you can take them anywhere you want. You never know where is going to have an appropriate changing station for your baby or when they are going to need to take a nap, particularly if you are traveling out of the city or state. Many Pack N Plays also have additional features to keep your baby occupied and entertained. It is a great place to store toys for your baby to play with, which promotes growth and development of their fine motor skills, cognition, and more. The first thing you’ll need to do when looking at mattresses for your Pack N Play is to find options that fit the specific style of Pack N Play you have. Not every version of this product is the same size, so you’ll need to find a mattress that comes in the exact dimensions of your Pack N Play. It needs to be comfortable and supportive for your baby, and be assembled in a way that will support their little bodies safely. This means thinking about the materials used, the thickness of the mattress, and any additional comfort features. The mattress should also be lightweight and portable enough that you can carry it with you wherever you take your Pack N Play. Finally, you’ll want to consider the durability of the mattress. As your baby grows, it will experience a fair amount of wear and tear, so you’ll want to make sure the mattress is constructed to handle it. It’s important to get a great mattress for your Graco Pack N Play so that your baby is comfortable. Any of the options listed here are ideal choices for your little one. You may also want to invest in the extra mattress cover to help your baby sleep even better at night. Having a good mattress can make a real difference in the life of a busy parent. Thanks for the reviews and suggestions on these mattresses for babies. I like DreamOnMe a lot for baby mattresses!